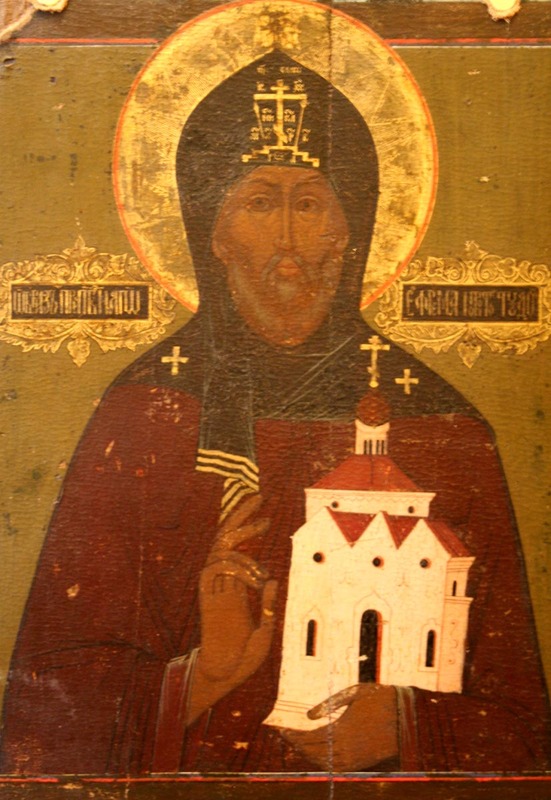 Venerable Ephraim of Novy Torg (or Novotorzhsky; modern Torzhok), founder of the Saints Boris and Gleb Monastery in the city of Novy Torg, was a native of Hungary. Together with his brothers, Saint Moses the Hungarian (July 26) and Saint George (in Hungarian “Sandor,” pronounced “Shandor”), he left his native land, possibly because he was Orthodox. 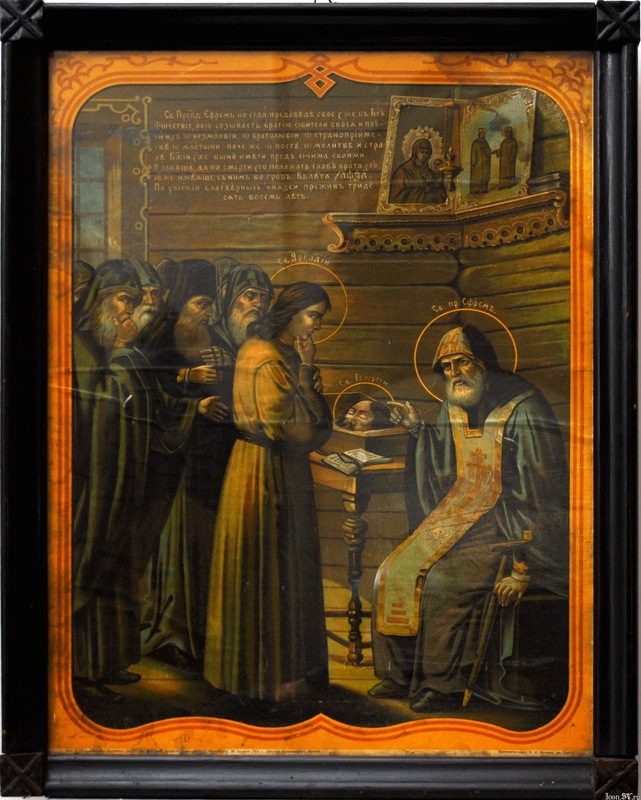 Saint Ephraim, evidently in Rostov at this time, and arriving at the place of the murder, found the head of his brother and took it with him. Forsaking service at the princely court, Saint Ephraim withdrew to the River Tvertsa in Torzhok in order to lead a solitary monastic life. 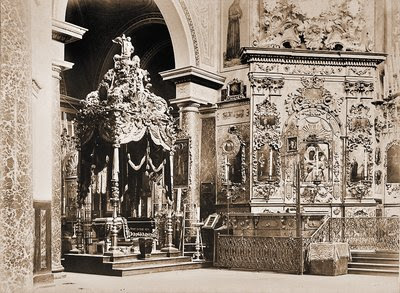 After several other monks settled near him, he founded a monastery in honor of the Holy Passion-Bearers Boris and Gleb in the year 1038, the year the relics of the Saints were uncovered. The brethren chose him to lead them. Near the monastery, not far from a merchant’s road to Novgorod, a wanderer’s home was built, where the poor and travelers stayed for free. Saint Ephraim died in old age in the year 1053. His body was buried at the monastery he founded. The head of his brother, Saint George, was also placed in the grave, in accordance with his last wishes. 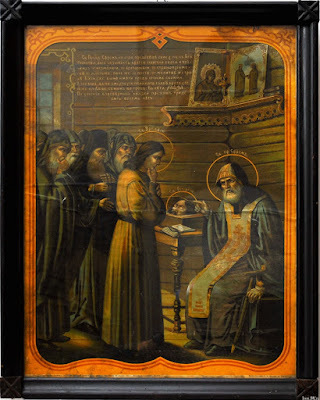 On June 11, 1572, under the Novgorod archbishop Leonid, the incorruptible relics of Saint Ephraim were found, together the head of his brother Saint George. Under Metropolitan Dionysius of Moscow, he was canonized (approximately in 1584–1587), after which his divine office was composed. According to Orthodox authors, a number of miracles are connected with this Saint, including his intercession on behalf of Torzhok during the Time of Troubles.